WRONG! 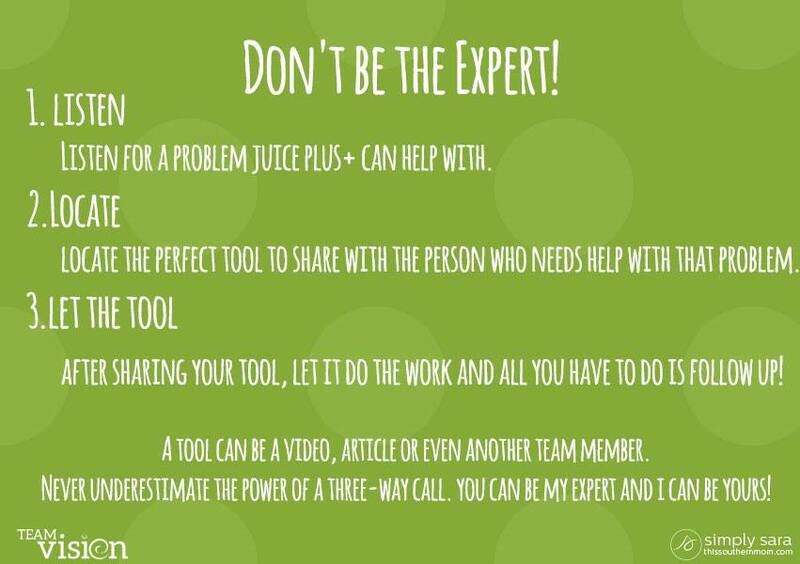 Step one in running a successful Juice Plus+ Franchise is not to be the expert! That doesn’t mean bury everything you’ve learned about the products, it means use the information as a tool instead of reciting it like memorization. A tool can be anything from another team member to a recent article or video. Three way calls and emails are always effective and we have plenty of experts on this team for you to utilize to fit any of your customers needs." Did you know it takes five to six exposures, on average, before someone places an order (or signs up as a distributor)? 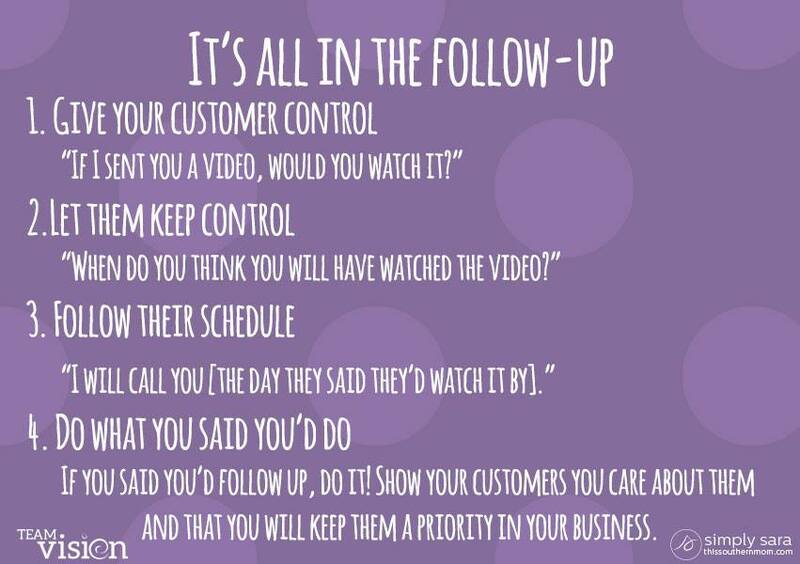 Follow-up is essential! If you let another distributor follow-up on the seed YOU planted, then they get your hard-earned commission check! If you are chatting in person or over the phone, leave the conversation open. Don’t say, “Let me know if you’re interested!” Instead, ask them if they’d like more information or if they’re ready to order today. Keep them engaged into the conversation with you instead of just TELLING them everything you know. A good rule of thumb is to do the opposite electronically that you do in person – AT FIRST. What I mean by that is, if you are contacting a cold contact who hasn’t already asked for information, don’t engage them. Send them a short message and say something like “just thought you’d like to read this!” which ends the conversation. Don’t end in a question or even attempt to follow-up after an electronic cold-contact. Your reputation will instantly turn into the harassing network marketer from the caring, concerned friend. Internet etiquette is different than in-person etiquette and to be successful at both, we need to learn both. 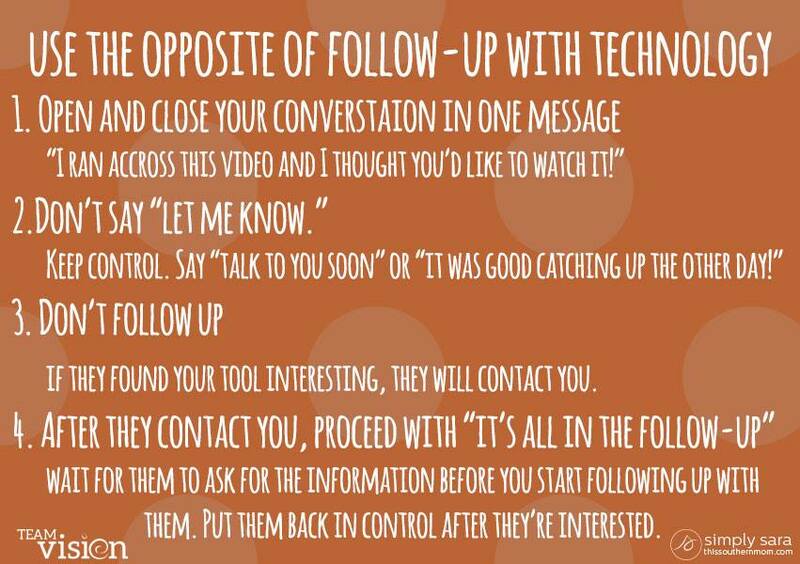 Once they respond to you and REQUEST more information, proceed with the normal follow-up GoPro guidelines.